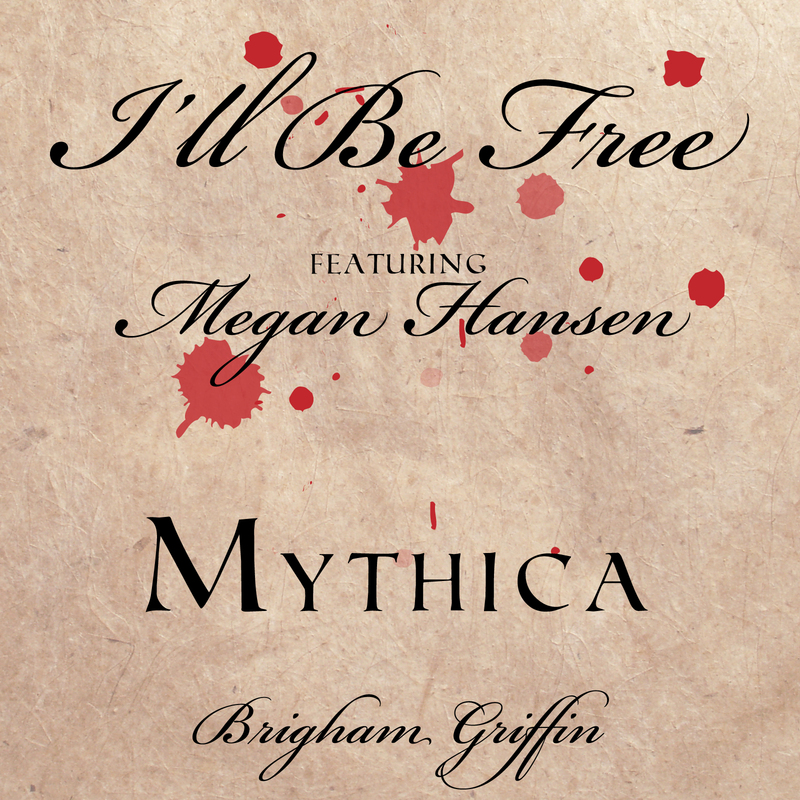 Purchase Ill Be Free feat Megan Hansen as an MP3 now from your favorite online music store. 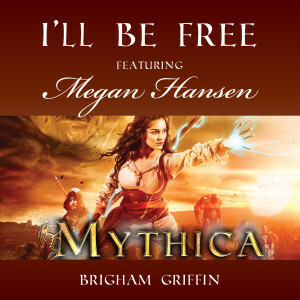 Buy I’ll Be Free (From “Mythica”) [feat. Megan Hansen] on iTunes. 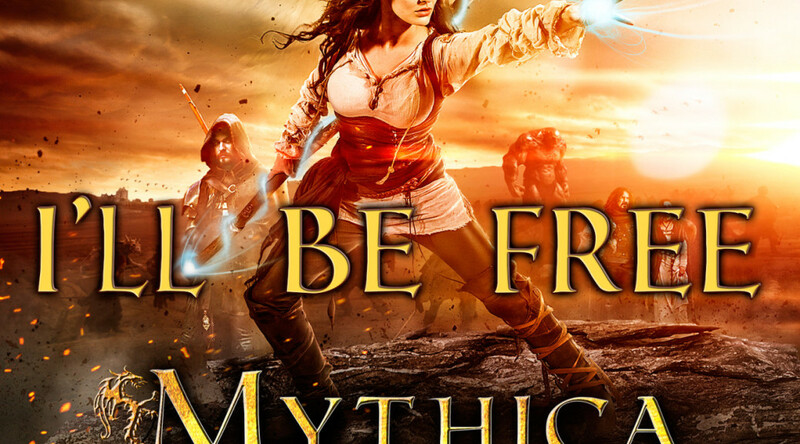 Buy I’ll Be Free (From “Mythica”) [feat. 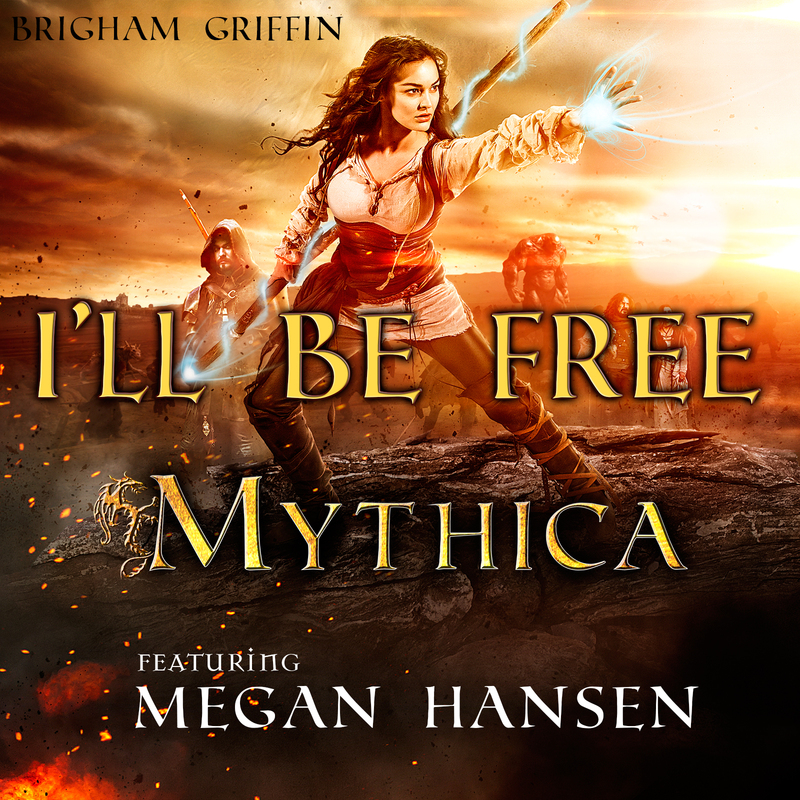 Megan Hansen] now on Amazon. 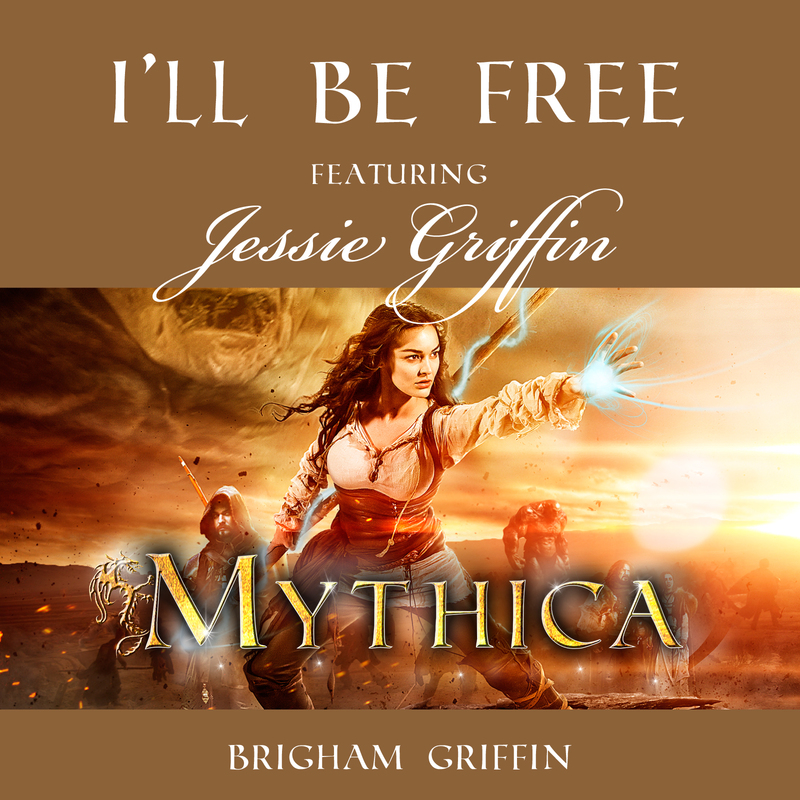 Buy I’ll Be Free (From “Mythica”) [feat. Megan Hansen] on Google Play. 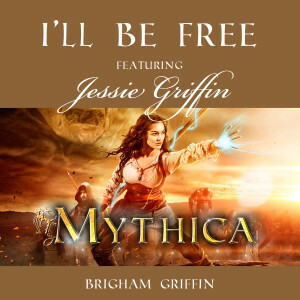 Buy I’ll Be Free (From “Mythica”) [feat. Jessie Griffin] on iTunes. 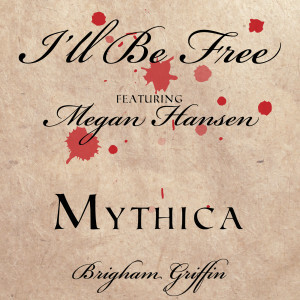 Buy I’ll Be Free (From “Mythica”) [feat. Jessie Griffin] in Amazon. 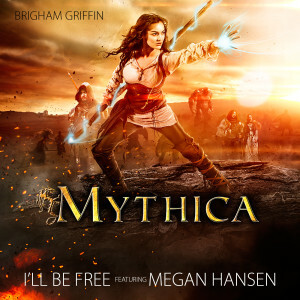 Buy I’ll Be Free (From “Mythica”) [feat. Jessie Griffin] in Google Play. Strings Vst: Vienna Symphonic Library Orchestral Strings. I had not attempted to write a song in many years before sitting down for this challenge. Because I play guitar, I typically write songs like a lot of guitarists do, starting with the guitar chords– find a chord structure I like, then add the melody over that, then finally add the words. This song was no exception. The music structure for this song came fairly easily over the course of several days. I am a believer in most creation simply being rearranging and adapting things that you already like, and both the music and lyric of “I’ll Be Free” are essentially taking what I liked already out there and tweaking it to suit my needs. For example, while trying to come up with ideas, I just listened to the Last of the Mohicans soundtrack over and over again, noted the hooks and progressions, and tried to emulate that. I personally have always feel more attracted to F#m, which is also probably why I began writing in that key, and which is the key in which both Jessie and Whitney performed the song. However, Megan must come from the Nigel Tufnel school of rock, because she wanted it lowered to Dm. You will notice that Megan has a kind of Tracy Chapman or TanitaTikaram quality to her singing voice, (for those of you who still remember the ’80’s) and Dm certainly suited her voice and the feel of this song very well. I was surprised at how different the Dm version was overall to the F#m track, and required an entirely new approach to the guitar track especially. There are not a ton of guitar songs written in Dm, although Irish folk song “Whiskey in the Jar” comes to mind, which in the end was kind of the style we were all going for, because the feel was supposed to be Gaelic or Celtic. After a couple of days of playing with the chords on guitar, I knew I needed bagpipes for this song, and purchased Garritan World Instruments because I honestly didn’t know anybody who played the pipes. There is a strings theme that plays in the background during the second and third verse which I titled “Jessie’s theme” in the mix, because my daughter Jessie actually wrote that theme. I was looking for a variation to include, so asked her to hum along with the track, and that soaring theme is what she came up with on literally her first attempt. Adding lyrics are the most difficult part of songwriting for me. In my teenage and college days, I felt like had a lot more issues with the world around me to complain about, and my brother Kynan wrote most of the lyrics for our band anyway. (He ended up writing movie scripts for a living.) Songwriting is more difficult when life is so good. I essentially still write for a living, but in the marketing field, so trying to write poetry is outside of how I operate anymore. All my efforts over the past decade have been geared towards making the copy as simple, overt, and credible as possible, so it was difficult to take myself seriously while trying to write a movie song about a fantasy world of dragons, magic and orcs. After a few nights of getting nowhere, I asked my brother Kynan Griffin, who besides being the producer, was also one of the writers of Mythica, to send me his screenplay, which he did, and I read the whole thing. That made a feel a whole lot better–it was a very good script–I could picture the entire movie in my mind. I also made more of a human connection with Marek, the main female character, and realized this was not really about orcs and wizards, but the universal and timeless human story of rising above the odds, reaching for freedom, and fighting for simple dignity in a brutal world. After that it was a more simple case of simply rearranging what was already there in the storyline. I extracted all the quotes from the script that seemed important to the human struggle of Marek, pasted them all into a Google Doc, and then edited them to fit within the verse and chorus structure. The rest of the lyrics kind of flowed around the quotes I chose to include. So, the lyrics to the song are really just a very summarized version of the first movie script, and only took a single evening to complete. I sent Kynan the lyric the next day, and he of course liked it, since they were mostly his own words anyway. I actually had three different people record vocal tracks for this song –Jessie Griffin, Megan Hansen and Whitney Permann. The first vocal recording was with Jessie Griffin, who I initially asked to provide a demo so the film producers could hear how the lyrics and music fit together, even though she was very young at the time, but the producers liked her clear voice so much that for most of post production, her version was being considered for the official soundtrack. The film producers put it out to vote to their Kickstarter audience and the film target audience really liked both artists polled, and a lot of people suggested that we release both versions, which is why we decided, in conjunction with Arrowstorm Entertainment, to release two separate tracks featuring both Megan’s and Jessie’s versions. Of course, only one could make it into the official movie soundtrack, and the final choice was left to the Director. I had performed before with Megan Hansen, who is my wife’s cousin and just a brilliant all-round musician, for several years in Pioneer Day folk bands, and when this opportunity came up, I immediately thought her unique voice would be a perfect fit for the theme and setting of this movie song. However, since we live in different states, and were up against a deadline, getting together to do the actual recording proved to be challenging, so in the end, we ended up collaborating virtually, with me sending her a basic instrument track, and Megan recording 5 different vocal tracks in her home studio, each with their own unique style and variations, then sending them to me via Google Drive to insert back into the final mix. <insert links to 5 vocal tracks.> We ended up using her most simple version, because the producers wanted to keep any contemporary vocal hooks out of the mix. My best editor has always been my wife, Kathy. She will always tell me honestly what she thinks, what can be improved, and my work always turns out better after her feedback, in all spheres of life. I tend to get caught up in the technical capabilities of the tools, like the Vst instruments for example–thinking I should throw everything in there just because I can, and if I like a hook or riff, will keep looping it throughout. The first mix of this song was a lot like that–I had the violin and bagpipes going all the way through, and Kathy really helped me to pair that down and get back to more clean and sparse sound that the song setting needed. She had me listen to Ed Sheeran’s “I see Fire” a few times and pointed out the emptiness of that mix. The vocals needed to be the focus. So, we started again with just the bare-bones guitar, and started added tracks back in one by one, but later in the song. The next step in releasing the single was to create and choose cover artwork. The differences were all minor, except for one which I tried to make look like an old letter, but most people I asked preferred incorporating the movie poster as the artwork to the movie song. Rock Permann covers “Glorious” by David Archuleta from Meet the Mormons. Rock Permann from Rockland Idaho, USA, covers “Glorious” by David Archuleta from Meet the Mormons. Rocks voice recorded with Shure SMB7 at Snake River Records Studio.